I read this article and found it very interesting, thought it might be something for you. 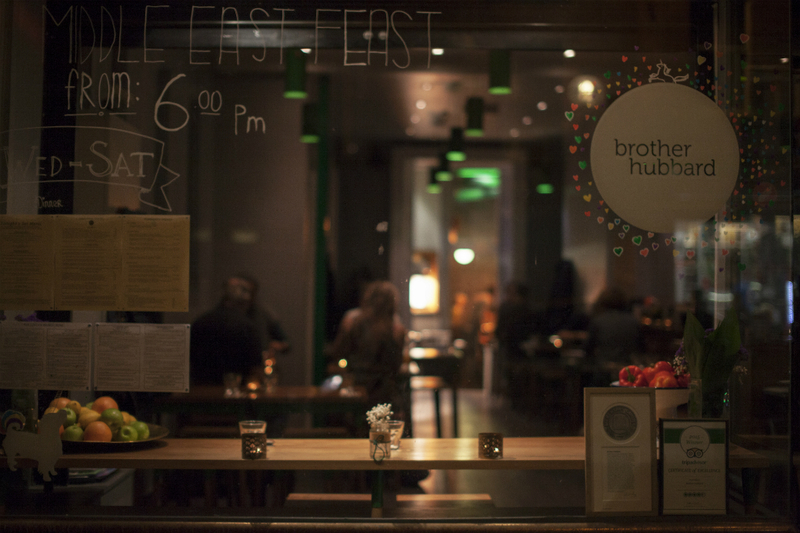 The article is called Restaurant Review: Middle Eastern Feast at Brother Hubbard and is located at https://www.totallydublin.ie/food-drink/food-drink-features/turkish-delight-middle-eastern-feast-at-brother-hubbard/. In three and a half years, Brother Hubbard has gone from a small café on Capel Street to knocking down the wall to the building next door to build a sit down café with an outdoor heated garden, a take-away section, an upstairs seating area and an entirely new café on the other end of town (Sister Sadie), also offering brunch, lunch and now dinner. 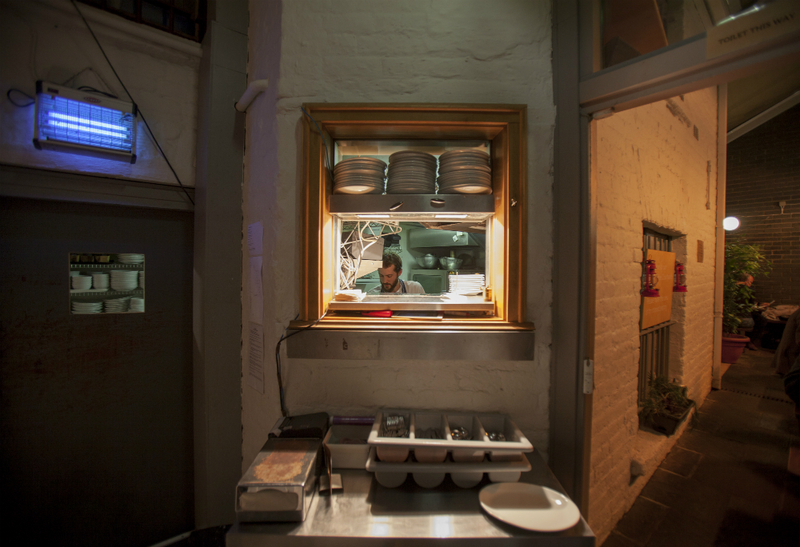 It’s a remarkable rate of growth and I’ve often wondered if the owners have slept at all since 2012. The Middle Eastern Feast is the latest in Brother Hubbard’s expansion, and it’s an addition that immediately makes sense. The menu, available after 6pm from Wednesday to Saturday, promises excitement for the tastebuds, and the team at Brother Hubbard deliver it. What’s on offer is my favourite type of food; a take on the flavours of the Middle East inspired by cooks like London-based Israeli Yotam Ottolenghi and British-Iranian Sabrina Ghaynour. ‘Ottolenghi is single-handedly responsible for me doing what I’m doing now,’ says Garret Fitzgerald, co-owner with James Boland. ‘I have a folder of every Guardian article he wrote for about five years.’ Fitzgerald went to the Middle East for four or five months after a stint in Australia. There’s an à la carte to order from, where all mains circle around €11 (the most expensive is the lamb at €12.95). A Set Menu option facilitates a sharing platter starter mezze, a choice of a main course and a sharing platter of dessert for €27.95, or the option to go for two courses at €22.95. Middle Eastern food caters well for vegetarians, and that is reflected in the entirely meat-free starter platter, delivered on a Moroccan tray. It features a beetroot hummus sprinkled in dukkah and a fluffy sweet potato falafel drizzled in a tangy tahini dressing, alongside the scrumptiously comforting and subtly flavoured harira soup (a tomato-based Moroccan broth). Cauliflower florets are coated in a spiced crust and fried until crunchy, with the housemade flatbread with a healthy coating of za’atar (a Middle Eastern spice blend of thyme, oregano, sesame seeds and salt that smells like a souk – in a good way) on offer for dipping and tearing. For those of us who do eat meat, there is plenty to choose from for the main event. I go for a lamb cutlet, a cut that is so easily destroyed by clumsy cooking (I’m thinking of my own cooking here.) It’s truly a pleasure to see it treated so beautifully at Brother Hubbard’s. It’s charred and caramelised on the outside and pink on the inside. It’s a dream to slice and heavenly in its juiciness. It comes sprinkled with sumac, and served with a simple pomegranate salad, a salsa verde and a roasted red onion. The hake tagine (priced at €11.95 on the à la carte) also featured some crisply charred pieces of white, flaky fish swimming in a bowl of roasted red peppers, Jerusalem artichokes and okra. Dessert is one of the most enjoyable dessert experiences I’ve had all year. Another beautiful tray is delivered to us, and on it appears a most delicate rosewater jelly that proves to be the best take on Turkish Delight I’ve ever encountered. There is decadently sweet housemade baklava, stuffed with caramelized nuts and sprinkled with powdered sugar. A housemade chocolate ice-cream blows us away, especially when paired with the slices of fresh figs and orange that complete the platter. We wash it down with pots of mint tea. The bill, which includes a housemade raspberry and rose water juice (that is so delicious) and a glass of red wine comes to €73.95. There have been some changes this summer to the heated and covered outdoor seating area in Brother Hubbard; the benches are gone and small tables for two have replaced them, and it does a good job as doubling up as a restaurant space. The space adapts well to its new nighttime life; a few carefully placed candles in Moroccan metal holders helping to create an evening atmosphere. Essentially, though, it does still feel like we’re in a café, which might not be to everyone’s taste. For me, this latest expansion at Brother Hubbard has slotted right into place, as if they’ve been doing this since the very beginning. 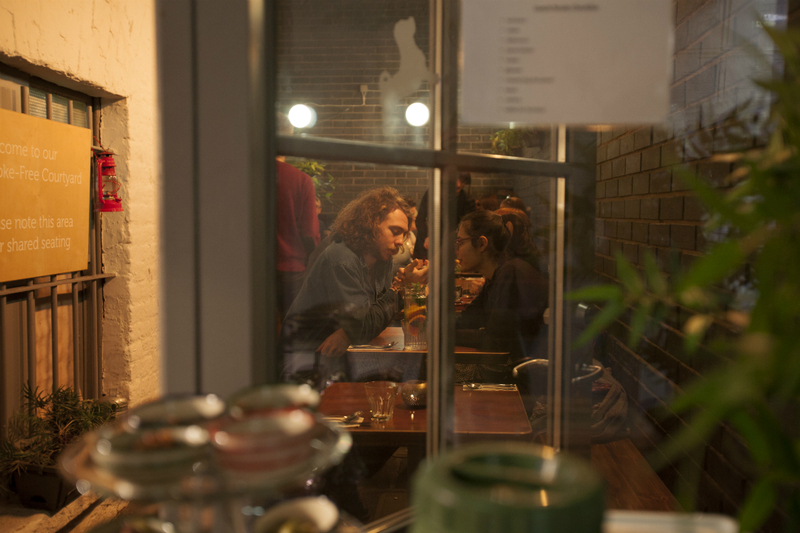 The Middle Eastern Feast at Brother Hubbard is available Wednesday – Saturday from 6pm, with Little Brother next door open for wine at 6pm.